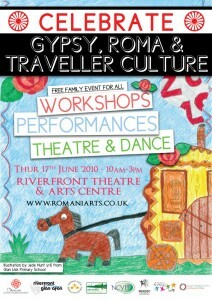 Gypsy, Roma and Traveller History Month 2010 has come to end and what a month it’s been. Last year’s single event at the Chamber of Commerce Building was the foundation for the three events this year. The National Launch at the Senedd (27th May) celebrated the work of school children across Cardiff and Newport in our first GRT History Month poster competition. 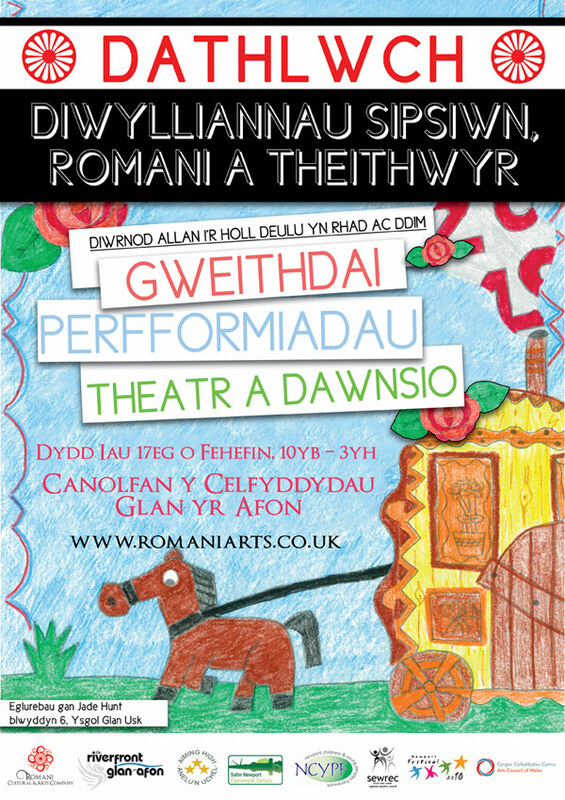 Schools in both cities worked with Cardiff Traveller Education Service and Gwent Education Multi-ethnic Service (GEMS) to put Gypsy, Roma and Traveller issues on the curriculum culminating in two competitions to design posters to advertise the main events in those cities. The winners were presented with framed copies of their posters that were almost as big as they were, by Helen Mary Jones AM and Chair of the Welsh Assembly’s Children and Young People’s Committee. 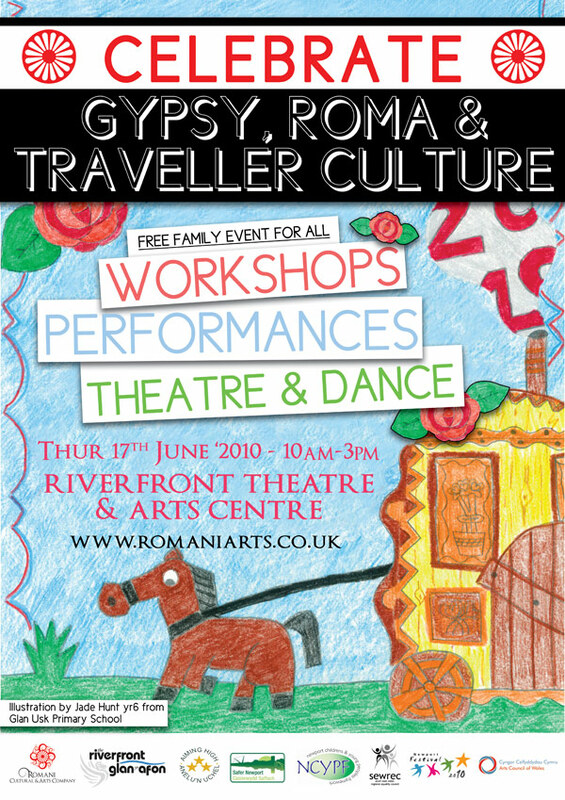 The Newport event at the Riverfront Theatre and Arts Centre (17th June) was designed to challenge while celebrating the contribution of Gypsy, Roma and Traveller people to the local community. 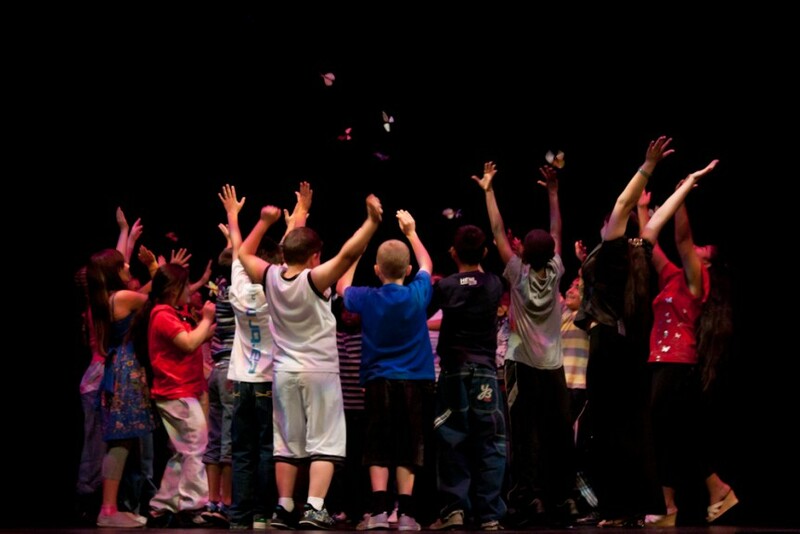 A week long residency, funded by Newport Children and Young People’s Partnership, involved children from a wide range of ethnic backgrounds drawn from 6 schools across Newport and led to a performance of unity entitled ‘Me, Us and You’. 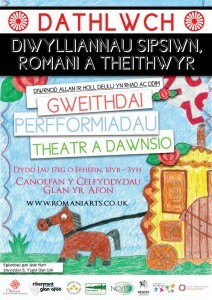 The event, which also included traditional storytelling, waggon painting workshops and video, included a short documentary on the plight of the children of Dale Farm who are fighting eviction from Europe’s largest Gypsy/Traveller site (Courtesy of the Children’s BBC/International Film School Wales) compared and contrasted with the eviction and demolition of Sulukule in Turkey and the plight of the Romani minority in Kosovo, who remain in a UN refugee camp in a disused lead mine (Mitrovica) in a lecture given by Dr Adrian Marsh. The Cardiff event (29th June) at the Pierhead Building was designed to bring out the Gypsy, Roma and Traveller communities, and it certainly did that. An unashamed celebration of community and particularly of our young people saw performances of dance, both traditional and hip-hop, waggon painting workshops, dukering, traditional storytelling and circus skills performances. The NoFit State Circus worked with young people on the Shirenewton site over a period of 3 weeks to put together their performances for an audience of family, friends and strangers. All of the events received plenty of press coverage notably from the BBC (Newport, Cardiff), but, as you can see, each was very different. We look forward to next year, and something even bigger.